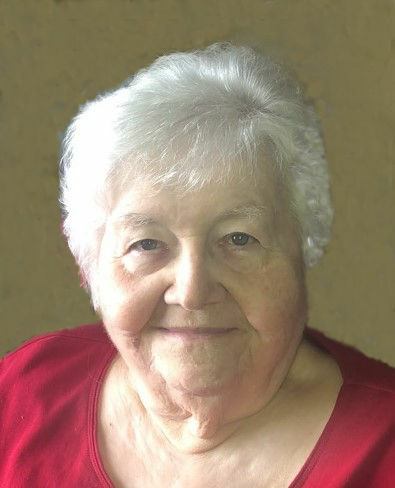 Obituary for Mildred M. Staniech | Jaycox-Jaworski Funeral Home & Crematory, a Branch of Gentle Care Funeral & Cremation Services, Ltd.
Mildred M. Staniech, 93, of Lancaster, passed away on Saturday, April 13, 2019. Born in McKeesport, PA, she was the daughter of the late Mary (Lover) and John Lucanish. In McKeesport she was an active member of St. Mark parish and enjoyed singing in the choir. She also belonged to the Liberty Boro Mother’s Club and the Confraternity of Christian Mothers. Upon moving to Lancaster in 2007, she became a parishioner of St. Leo the Great Catholic Church. Mildred was an avid reader and loved to talk on the phone, often discussing current events and politics with her friends and family. She was a great cook and a talented seamstress. She will be remembered for her sense of humor and love of her family. Mildred is survived by her children: Mary E. Vasko (Larry) of Lancaster, Robert Staniech (Debbie) of Volant, PA, Thomas Staniech (Alena) of Buena Vista, PA and Scott Staniech of West Newton, PA; her sister, Mary Louise Daugherty (Thomas) of Bixby, OK; 9 Grandchildren; 9 Great-Grandchildren and 2 Great-Great-Grandchildren as well as several nieces and nephews. She was preceded in death by her husband Michael R. Staniech in 1996; her sons: Michael and Mark Staniech and her brother, Bernard Lucanish. What Will I Tell the Children?